A new series of paintings by Claire Sherman are on view at Kavi Gupta Gallery. 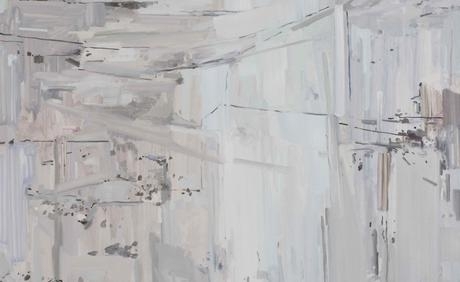 Gestural and heroic, Claire Sherman’s canvases investigate the confusion of scale and space. Purposefully composed in a single day, each composition originates from a specific place and is executed in a limited period of time. Sherman intentionally retains all of the stumbles, victories, and awkward brushstrokes that lay tangled on the surfaces of each heavily worked canvas.